Following in her Fathers footsteps, Vicki established Room by Room in 2005 with a passion for seeing homes transformed by beautiful window furnishings. Vicki has an understanding that sometimes the process of reviving, refreshing and renewing your home doesn't happen over night and that it can be easier to do "room by room". Vicki strives to give the best customer service and bespoke advice that is suited to your interior needs. With the flexibility of being able to visit you in your home to get measurements or a hands on approach of seeing and picking fabric in the showroom. Each home is a personalised service. New home? Updating your interiors? iseekblinds will save you $1000's! View our video tutorials on How to Measure & Install your Roller Blinds, Plantation Shutters & Curtains to see just how easy it is to achieve professional results yourself. All our products are genuinely custom made at prices you won't believe. Click through now. We provide FREE sample packs you can ‘try’ before you buy, enabling peace of mind regarding fabric quality and the colour matches for your interiors. iseekblinds make DIY easy. Blinds City is an Online store offering a wide range of affordable Custom Made window blinds, shutters, Curtains and Outdoor Blinds DIY (Do It Yourself) and Installation offered by us Australia wide with Online savings. A Good Difference What really makes us the leader in window coverings is we think and do business differently. We ignore gimmicks and distractions and stay focused on the simple things that matter the most to you – our customer. 1. Our number one priority is you and providing you with a superior level of service. And we do this through one on one consultations in the largest network of window covering stores in Australia. 2. Making a dc+b product requires time, materials, tools, talent, emotion, intelligence and skilful hands. We focus on what matters to you – a quality handcrafted product. It’s in our design DNA. Behind the smallest detail there is a dedicated person guided by pride in a job well done. 3. We value your time so we continually strive to offer a comprehensive but succinct range of products that show a level of intelligence and innovation. Market leading materials, manufacturing processes and quality control systems feature just as highly as design. 4. Our commitment and the desire to offer the very best in quality and value has kept our business at the forefront for over 50 years. This longevity means we’re now very familiar to generations of families who know they can trust us to produce a quality product at a value for money price. 5. We’re generous with our time and the way we do business – it’s the only way to be. We understand that this is a big decision for you and that it can be a bit daunting so our knowledgeable and well informed in-store design teams, our large range of fabric samples and take home curtain samples, as well as our on trend, curated choice of fabrics and products and in store displays are all there to assist you to visualise the products in your home and to make the right choice. 6. We take the time and care to choose members for our team who understand our business and who share our passion to innovate and create high quality products. But most of all they have a rare quality – they simply love to help and achieve a great result for every customer that walks through our doors. They really do value and appreciate what you are trying to achieve. 7. We’re always on the lookout for new opportunities that enhance our product and service offering so you benefit. 8. We consult, design, craft and deliver. It’s as easy as that for you. Put all of this together and it’s not hard to stand out and be different – it’s a good difference we think you’ll love. BEST OF HOUZZ 2016, 2017 & 2018 SERVICE AWARDS Established in 1984. Ideal Drape Makers (IDM) is a second generation family-owned Australian manufacturer, wholesaler and retailer of custom made-to-measure, quality curtains, blinds, shutters and awnings. We have an extensive range of internal and external window treatment options from Drapes, Curtains, Sheers and Blinds through to Shutters and Awnings. Priding ourselves on our expertise and range of window treatments, we have a long established reputation within our industry for quality product and service excellence. Our success is only possible by working smarter and maintaining, above all other things, our unflinching commitment to quality workmanship, utilising only quality fabrics, materials and components sourced locally from leading suppliers. - Suppliers who stake their reputations on the quality product they distribute and support. Our quality window treatments will out-perform and out-last treatments from all but the most reputable suppliers and continue, with care, to look great for many years to come. Ideal Drape Makers specialise in both residential and commercial projects and work extensively with Designers, Architects, and Builders, providing installation services along with our custom window treatment solutions. Taits Interiors had been at 711 Mountain Highway in Bayswater for 50+ years. In our fiftieth year, we decided to change our business structure; to make ourselves even more available to our clients and more flexible with appointments. We therefore no longer have the showroom in Bayswater, but still offer the same specialist services of custom made curtains and blinds, custom-made bedding and bedheads and we still carry our same extensive range of fabrics, wallpapers, lamps and trimmings. We invite you to make an appointment with Natalie for her to come to you, to discuss your window furnishing requirements and show you the full range from all of our suppliers. Owner, Natalie Guest, who took over Taits Interiors from Robert Strang in 2014, is based in Kalorama in the Dandenong Ranges but has clients spread far and wide. By giving excellent customer service and educating clients as much as possible with her superior product knowledge, Natalie enjoys working with all her clients in their home on the best project outcome and budget. Her valuable knowledge within the Curtain & Blind and Textile Design/Soft Furnishings industries has allowed her to maintain great relationships with all existing "Taits" clients as well as inviting prospective new clients to contact her for all their Window Furnishing needs. Her goal is to continue the "Taits" ways of great customer service, quality product and good honest advice, which have stood the test of time. 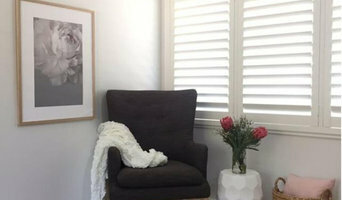 Melbourne's finest plantation shutters, for the fraction of the cost! Our customers love their homes inside and out. We too are passionate about design and believe that the well designed home never goes out of fashion. We also believe that creating that perfect outside space or decorating your inside haven should not be prohibited by cost. We also believe that the best design advice can only be given in the home, so we choose to not have a showroom which gives us remarkable control over costs, ensuring you get the highest quality timber and aluminium shutters at the lowest prices. Ask us for a quote today and be impressed and surprised. Custom Design Blinds is a leading Melbourne blinds company in Victoria. We’ve been making blinds, awnings and security products in Melbourne for over many years. We're Melbourne's leading manufacturer and installer of blinds, awnings, security doors, and curtains. Custom Design Blinds offers a free measure and quote service to all suburbs. A highly trained sales consultant will bring a wide range of samples allowing you to browse in the comfort of your own house. Our great range of interior and exterior blinds, as well as security doors and shutters, ensures Bob Burns Blinds can provide something for everyone. With a wide variety of materials, colors and most modern styles for all-out products we can match the feel of your home, whether it is traditional, latest or anything in between. Get a Free Quote. Custom Design Blinds Melbourne we help you make the most of your greatest asset, your house. If it’s a most modern or fashionable style you’re after we’ll help you find the perfect look to suit your house. Your security doors and screens are also manufactured by us and you can rest assured we use the top security components available. I just wanted to let you know that our blind looks fantastic! The installer was proficient and took his time to ensure that a proper install was made. When you come at Custom Design Blinds Melbourne to get coverings for your window, we promise you won’t need to look anywhere else anymore. Our all best interior blinds are specially custom made to the most elevated quality. Basically, our blinds are designed to suit classic or unique stylistic decor with style and class. Give us a call on FREE 1800 151 767 or email info@customdesignblinds.com.au and let us help find the perfect fit for your house. Blinds Melbourne provide Quality Designer Blinds, Shutters Roller Blinds, Curtains, and Roman Blinds, Venetian Blinds, Vertical Blinds, Plantation Shutters. We are providers and installers of customized blinds Melbourne for style and luxury living. We're cheerful to share with you our incredible range of indoor and Outdoor Blinds in Melbourne. Call on 1800 151 767 for the same day measure to quote. Style Windows with Chic Blinds and Curtains Are you looking for classy designs in domestic/commercial blinds and curtains? Welcome to Onto Blinds Melbourne. We have been designing unique designs of curtains and blinds for more than two decades. From manufacturing the best quality blinds to installing them right onto your windows – our trained staff does it all flawlessly. We deal in both customized and ready-made curtains and blinds. So if you do not wish to buy our choice of curtains/blinds, you are free to pick your material, fabric, design, style, color, and option to design your own blind. Onto Blinds Melbourne promises to give you perfectly fitter blinds. Call Onto Blinds to get a modern-day design curtain or blind at the most affordable price! Our Assortment of Blinds Once you come to Onto Blinds Melbourne, you will be surprised to go through our rich collection of blinds and curtains. Roman Blinds Melbourne For those looking for elegance and beauty in blinds, the roman blind is the perfect answer. These protect you from 90% UV radiations. Apart from transparent, they are also available in blackout option. Roman blinds are simple to use as they have a soft touch. These are designed specifically for outdoor areas like verandahs. We design them in various styles and colors. MAC WINDOW FASHIONS WELCOMES YOU The selection of products provided by MAC Window Fashions are not only of the highest quality, but are also available in a variety of options to ensure you find exactly what you’re looking for. With top-of-the-line materials, cutting-edge production technologies and a highly qualified team, we guarantee complete satisfaction. Whether it is residential, corporate or commercial applications our approach is the same, welcoming, professional and catering to the customers needs. Highview Shutters & Blinds are a family based business, who have been in the Blind industry for over 10 years. Our industry experience and passion for window furnishing will ensure that we are installing the best possible product and affordable prices to suit your environment Highview Shutters and Blinds, focus on what the Customer wants and are always listening to what the Customer needs. Highview Shutters and Blinds have a large selection of Window Furnishings and are always updating their products with new ranges of colours, designs and products. 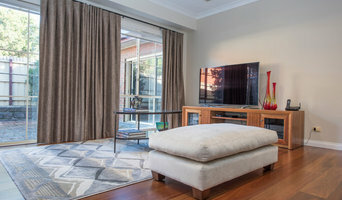 Highview Shutters and Blinds wont disappoint you with our service as we all have a strong background of knowledge, experience and various skills in this industry, which we re happy to share with you when you are selecting YOUR Window Furnishing for your Beautiful House or other properties. Design and installation of Australian Made Plantation Shutters, Interior window coverings, Exterior blinds and awnings and home design consultation.